Congrats are in order for singer Prince Royce and Emeraude Toubia. The longtime couple revealed they tied the knot in a secret wedding, and shared the news with fans on social media today. The new cover of People en Espanol introduced the couple as Mr. and Mrs. Royce. The two became engaged in 2017 and just recently said “I do” after eight years of dating. Congrats to Emeraude and Prince! Mena Suvari Secretly Marries Boyfriend Michael Hope! Mena Suvari and boyfriend Michael Hope have secretly tied the knot! The couple confirmed that they walked down the aisle recently, which fans are speculating happened it August thanks to a cryptic Instagram post. “It’s great. I’m really happy. We’re happy. Third time’s a charm!” Mena told Us Weekly about their marriage. Mena added that the couple enjoyed a short honeymoon and are considering having children in the future. The couple dated for two years after they met on the set of their 2016 Hallmark movie I’ll Be Home for Christmas, where Michael worked in the art department. This is Mena‘s third marriage. 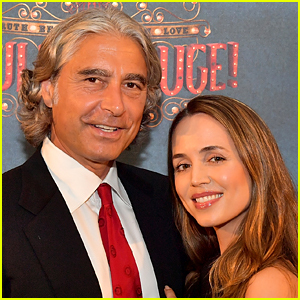 Eliza Dushku has said “I do” to her fiance Peter Palandjian! The 37-year-old actress and the 54-year-old CEO of Intercontinental Real Estate Corporation married last month on August 18, and Eliza confirmed the news by posting a series of wedding photos to her Instagram account. Eliza captioned the post, “8.18.18″ with emoji hearts. She also confirmed that the wedding took place in Boston, Mass. Check out the wedding photos on Eliza’s Instagram account. The 25-year-old entertainer walked down the aisle and married her fiance, basketball player André Murillo, 28. The pair both confirmed the news on their individual Instagram accounts. “thank you to everyone who made this the most magical day ever. i’m floating. brb,” Tori posted on Instagram, along with a photo of her in her wedding dress. She wore a Galia Lahav dress and Sam Edelman shoes. Andre added, “For better or for worse, In sickness and in health, To love and to cherish, Till death do us part,” on his account. The couple got engaged back in September of 2017 and have been linked since 2016. Sam Hunt & Hannah Lee Fowler Are Married - See Wedding Photos! Sam Hunt and Hannah Lee Fowler have tied the knot! 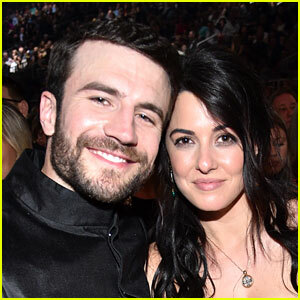 The 32-year-old “Body Like a Back Road” singer and his longtime love got married in an intimate ceremony with close family and friends on Saturday (April 15) in his hometown of Cedartown, Ga., TMZ reports. Nashville designer Olia Zavozina created all of the dresses and suits for the wedding party. See photos of Hannah‘s dress in our gallery! The couple got engaged this past January. Hannah has been the inspiration for many of Sam‘s songs, and he even named his debut album Montevallo after her hometown in Alabama. Watch Sam sing to Hannah during his performance at the 2017 ACM Awards, and see pics of them showing off their beach bods during a trip to Hawaii. Omarosa Manigault is officially married to Pastor John Allen Newman, according to TMZ. The couple walked down the aisle on Saturday (April 8) at the Trump International Hotel in Washington D.C. The former Apprentice star and current White House senior staffer was supposed to be married in Florida last month but the ceremony was postponed after alleged death threats. This weekend’s ceremony was kept small and Donald Trump was reportedly not in attendance. Omarosa and John got engaged last July after dating for less than a year. Congratulations to Omarosa and John!